For many Peterborough individuals, the lawn care services of Nightingale HOME MAINTENANCE INC always bring much needed relief. To ensure an always positive experience, our lawn care services are always guaranteed. See how you can save even more by signing up for our monthly lawn care service plans—call Nightingale Home Maintenance today! 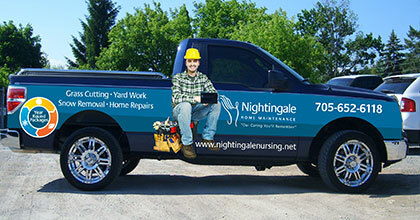 For your safety, all Nightingale employees are fully-insured, bonded, and licensed.